If you want to make sure your Betta fish lives a long, happy life, you need to choose the best tank you can for his home. Aquariums come in all shapes and sizes, and you have a lot of options. Ultimately, you want a Betta tank that is attractive, easy to care for and healthy for your fish. Unfortunately, things get a little convoluted when it comes to the poor Betta fish. Betta are anabantids, which means they can gulp air above the water if they need to. In the wild this helps them survive for short periods of time in harsh, low-oxygen conditions and muddy, stagnant puddles. Because of this ability to tolerate poor living conditions, people mistakenly get the idea that Betta prefer tiny little tanks or bowls with no filtration. Even worse, people stick them in plant vases, book ends, "cubes" and other horrible enclosures. If you were hoping to get any such suggestions from this article you've come to the wrong place. 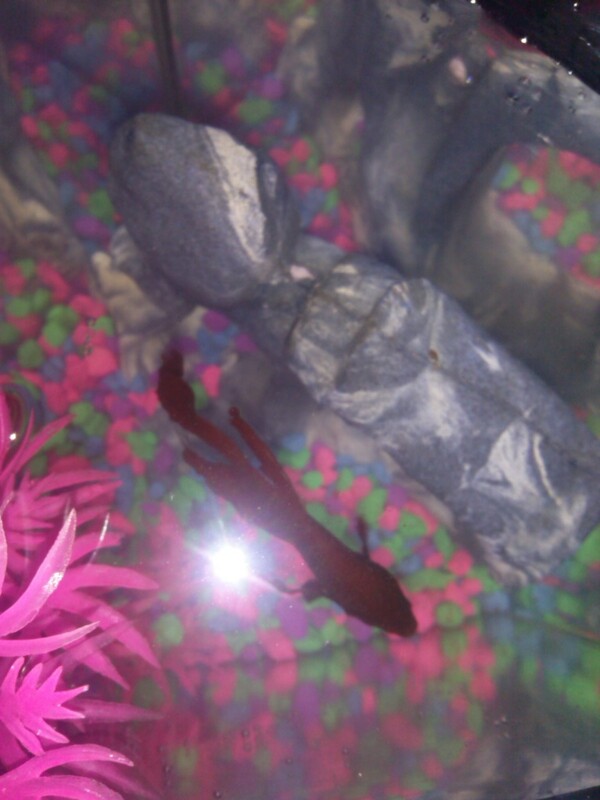 Betta do not belong in tiny little tanks any more that you or I ought to live in a closet. Just like any other tropical fish, Betta need space to thrive. If you choose a larger tank your Betta will be healthier. But there are benefits for you, too. Larger tanks are easier to care for. You'll spend less time fussing with the tank and performing water changes. And, you'll have lot more room to decorate, whether than means lives plants or artificial décor. Ultimately, choosing the right tank means a happier Betta fish and a happier you. This article will get on the right track to finding the perfect home for your Betta. One gallon of water is the absolute minimum tank size your Betta needs for survival. Even though there are plenty of options out there for smaller tanks and other habitats, I really hope you avoid them. In fact, even one gallon is very small. Frankly, I do not like to see any fish in a tank under 5 gallons, even a solitary Betta. Tanks that small get dirty way too fast, and don't provide enough room for your fish to swim around. Really, putting your Betta in any tank smaller than 5 gallons is not a great idea. If you take anything away from this article, I hope it is this lesson. However, I know I can say this until I turn blue and pass out and people are still going to do it. So, let me at least offer some points of advice. Do not rely on the air pump that comes with many small tanks to operate as a real filter. Instead, choose a tank with a decent in-tank filter or hang-on-back filter, or one that has the capability of mounting an aftermarket nano filter. You still need to do full weekly water changes with a tank under 5 gallons. If you move up to a larger tank with quality filtration you can do partial water changes at less frequent intervals. Betta may not like the bubbles or current created by the air pump. You might be better off without it, and again this is a one big reason to avoid small tanks that rely on air pumps for so-called filtration. Do not put any other fish or critter in with your Betta fish in such a small tank. If you want tankmates for your Betta consider a tank of at least 10 gallons. 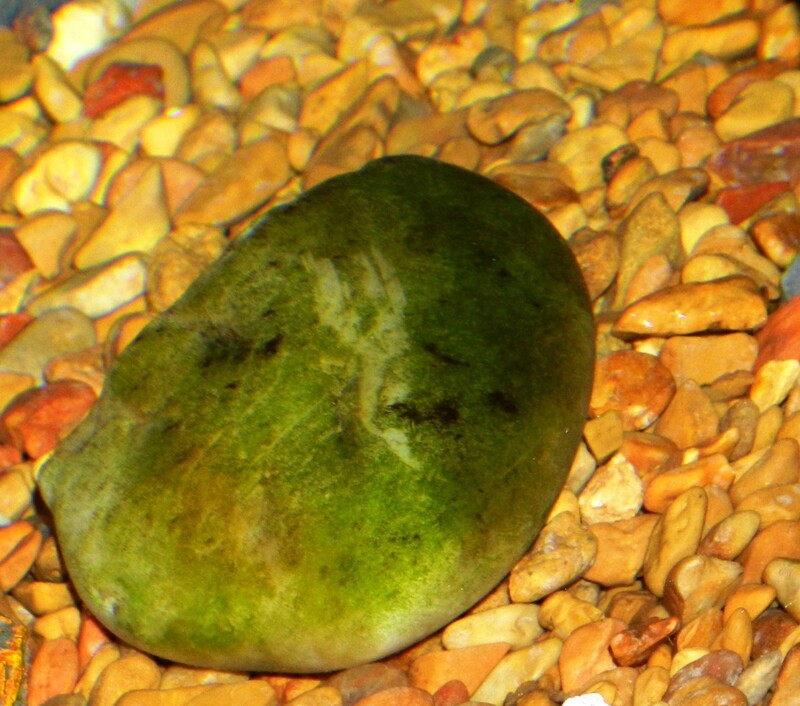 Choose pebbles instead of aquarium gravel so you can remove them weekly and clean out any waste or uneaten food. In larger tanks you can vacuum the substrate, but in tanks under 5 gallons you are going to need to do more thorough cleanings to maintain healthy water quality. Do not choose a tank under one gallon, whatever else you decide. A 5-gallon tank is perfect for your Betta fish. It is small enough for a desktop or tabletop, but large enough to provide adequate swimming room for Betta. In a perfect world every Betta keeper would house their fish in a tank 5 gallons or bigger! There are some good reasons why bigger is better. Really, it all comes down to water quality, and space. Not just space for your Betta to swim, although that is important too, but space to provide all the needed elements for your fish to thrive. Betta need heat and filtration just like any other tropical fish, and this is very difficult to accomplish in a tank under 5 gallons. There are nano filters and heaters available for tanks as small as 5-gallons, and these are smart addition to your setup. By making sure these needs are met your fish is going to be more resistant to disease, enjoy better quality of life and probably even live longer. The volume of water itself plays a role in the overall living conditions in your Betta tank. All fish tanks accumulate pollution as time passes. If you think of a stream or lake, you can imagine how these bodies of water have natural processes that ensure waste is properly eliminated and water conditions are adequate for life to thrive. In a home aquarium you must intervene on behalf of nature and make sure those processes are happening. This means cleaning your tank and performing water changes in order to dilute waste. The larger the tank, the easier it goes. Very small tanks pollute quickly, and the more water you can give your Betta the better. Remember, just because Betta has the evolutionary adaptations needed to survive in poor conditions doesn't mean it is okay. He still needs clean water to thrive. There are a lot of 5-gallon tank kits out there, but when I recommend small tank kits to new aquarium owners I typically point them to the Fluval Spec V. I really like this tank for a few reasons. First, it comes with everything you need, including good lighting and a real filter (not one of those wimpy under-gravel filters you often find in small tanks). The only thing I would add is a nano heater, since the temperatures where I live aren't appropriate for tropical fish. I also like that the Spec V has a footprint that's a bit more narrow that most 5-gallon tanks. This gives you a few more option for placement. A 10-gallon tank is the ultimate Betta setup, and the best choice if you have the space. In a tank this big you'll have plenty of room to decorate Betta's home, and he'll have enough area to swim. A 10-gallon tank is a standard size in the aquarium industry, so you'll have many more choices when it comes to accessories. However, you can always choose to take the road less traveled and build a unique Betta tank that not only gives your fish everything he needs, but looks amazing. Most importantly, a 10-gallon tank is able to establish itself as small ecosystem, with healthy bacteria colonies in the filter and substrate that will help break down waste. Remember, in a home aquarium you need to assist nature in managing waste, and a larger tank gives you the space to make sure this gets accomplished. This means a healthier tank, healthier Betta, and lot less work for you! Instead of weekly cleanings you can learn to do easy water changes once or twice per month. This is less stress on Betta, since you won't have to remove him from the tank every seven days. It also means less stress on you, and a more enjoyable fish-keeping experience. Don't think a single Betta needs to live in a tiny tank! A well-planted or decorated 10-gallon tank with a single Betta in it looks amazing! If you need some help finding a tank, I recommend checking out the Fluval Edge. I've had good experiences with Fluval products, and there is a lot I like about this particular aquarium. 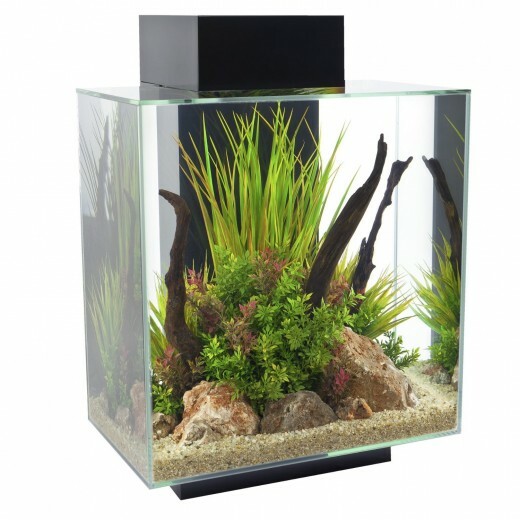 For one, it's got a unique design that really pops, especially compared to a standard, boring rectangular aquarium. I like how the filtration and lighting assembly are contained within the back of the aquarium, which makes things a little neater and much more attractive. I also like that it's a bit larger. This is actually a 12-gallon tank, so you'll have a bit more space while still maintaining a reasonable footprint. Tank kits are very popular for good reason. They provide everything you need to assemble an aquarium in one package, minus the fish and the water of course. 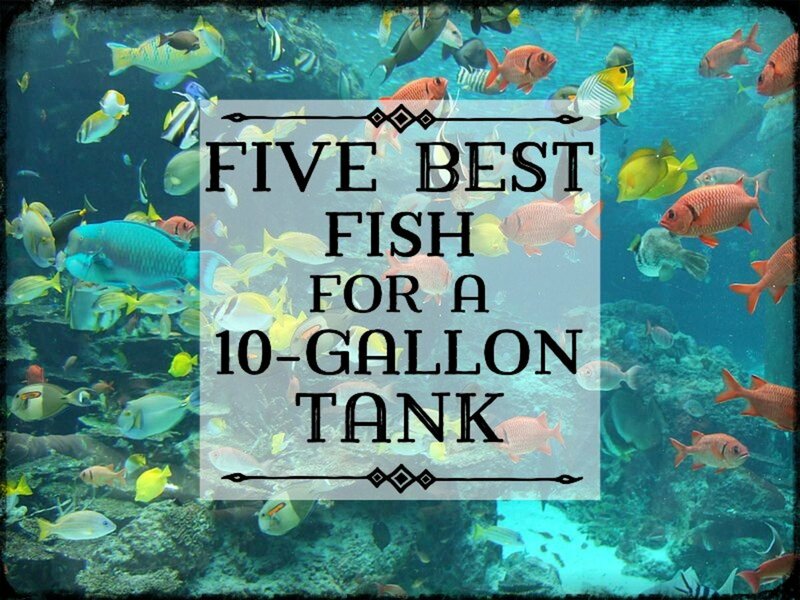 Fish tank kits come in sizes from under one gallon, all the way up to 55 gallons. They are an easy and economical way to get into the aquarium hobby. However, if you already know a bit about fish care, or if you are willing to do a little research, there is another way to go about building the perfect Betta tank. 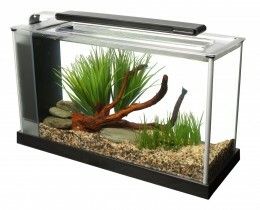 Many aquarium owners like to choose their own tank components rather than rely on a kit. Start out with a basic glass or acrylic tank and a hood, and from there choose your filter, heater and other accessories. This allows you to build a custom setup, without limitations based around the design of the aquarium kit manufacturer. This is smart and fun way to create exactly the kind of Betta tank you want. Good luck choosing the perfect tank for your Betta fish. I hope you decide to give him at least a 5-gallon tank, to ensure he has the best quality of life. No living creature should be stuck in a tiny tank for its whole life, especially not your awesome Betta Fish! As you progress in your new hobby take some time to learn more about the needs of your Betta, and about fish keeping in general. This is one of those hobbies where you can never really know everything, and the more you learn the better. If you make some mistakes along the way, don't beat yourself up over it. The important thing is to approach fish care from a position of respect and appreciation for nature, and to do your best as a steward of a living creature. 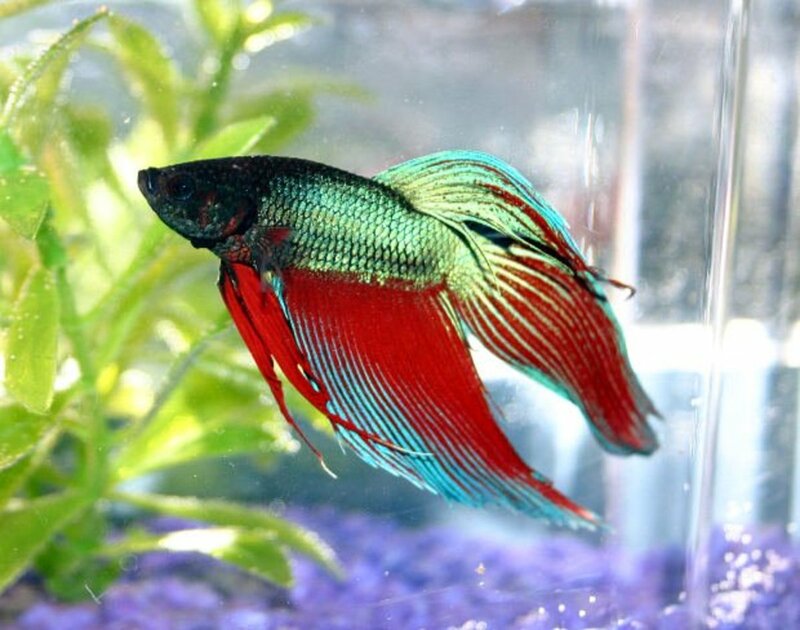 Even a little Betta fish deserves your best effort, so make sure your Betta thrives in his new home! What size tank will you choose for your Betta fish? Is it okay if I put my betta fish in a 30-gallon tank? A betta fish can do fine in a 30-gallon tank, or even larger. I’ve personally kept them in 55-gallon community tanks. It's a myth that bettas prefer or require very small spaces to thrive. If you intend to keep your betta alone you can still use a 30-gallon tank if you wish, though it does seem awfully big for only one fish. If you are more interested in aquascaping and keeping plants you may want to build a large, beautiful planted aquarium for a single betta. How many betta fish can I put in a 12-gallon tank? Just one betta fish. No matter how big the tank, it should not house more than one male betta fish. This is because bettas are very territorial and aggressive, and will fight each other on sight. One or both fish may be injured, or they may even fight to the death. While not as ornery as their male counterparts, even female bettas can be aggressive. For this reason betta fish are best kept in single-specimen tanks, or with carefully considered tankmates. However, there are a couple of exceptions to this rule. Some betta keepers partition their tanks, meaning they use a separator so they can keep two male bettas in the same aquarium. It’s a clever idea – you can have two fish, but only have one aquarium to care for. Using this method you could keep two bettas in a 12-gallon tank, but be careful to choose a divider that doesn’t allow them to see each other. Otherwise, they will constantly try to get at each other, causing a great deal of stress for both fish. The other exception applies to female bettas. Some fish keepers have several females in the same tank, and these are commonly called sorority tanks. Remember that females can still be aggressive. You’ll want to have a least four of them so a single weaker fish doesn’t take the brunt of the abuse. Four to six is a good number of female bettas in a 12-gallon tank, but make sure you do some research before getting started. Betta sororities can be tough to manage for beginners. Can I put one male and one female betta fish in a 10-gallon tank? I don't advise keeping two bettas together, even if they are different sexes. Bettas are often aggressive toward others of their kind. Of course, males will fight with other males, sometimes to the death. But males can be aggressive to females as well. If you intend to keep them apart with a partition, it may work. Even then, you'll want to be sure to add lots of plants and decorations, so they don't constantly see each other. Another exception, naturally, is if you are attempting to breed them. But betta breeding really should only be attempted by experienced fishkeepers who know what they are doing and have a plan for the fry. @Rebekka - The 4 gallon is just a bit smaller than I usually recommend for bettas. However, it appears they also make an 8 gallon that would certainly be big enough. I have no experience with this brand or their tanks so I can't comment on quality or performance. Be aware that 8 gallons of water is going to put your tank in the neighborhood of 65-75 lbs, so consider that when you decide where to place it. I am thinking about buying a BiOrb Baby aquarium for a Betta fish but I am wondering if the tank is too small or the shape might be stressing the fish. I've never had an aquarium so I'm not sure which one to buy. I just want a small one to stand on my desk. I don't know if this is selfish but I want the tank to be bowl-shaped. If the BiOrb Baby aquarium is too small could someone maybe recommend another one which fits for a Betta and is shaped like a bowl? @Sue - You should be able to turn the flow down to acceptable levels. Hard to say until you try it, unfortunately. I am thinking of a 20 Long for my future Betta. I'd much prefer a small canister filter over a hob filter. I like the Filstar size small canister. Hopefully I can turn down the flow, would a this still be too much for a Betta in a 20 gallon? I don't want him to be able to hide from the flow, but I would prefer a flow that doesn't bother him. @Katie - The moss ball won't take the place of a filter, but it will help keep your tank healthy. In a small tank it can help with waste chemicals, so I think it's worth a try if you like how it looks. 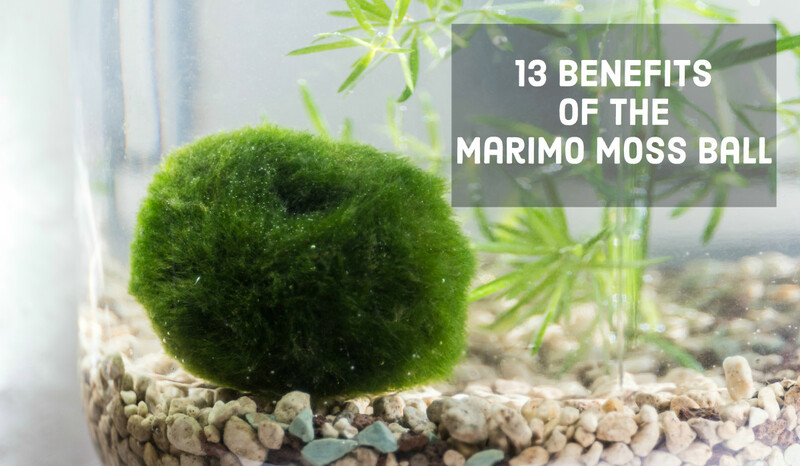 Im just curious about what you think of the marimo moss balls being used as a companion and kind of filter/oxygen help for a 1 gallon betta tank? @Jana - That's a great idea. Much easier that moving the tank every time! Back and forth. I even bring the plants and the snail Gary. It's worked out great, I have a very happy fish and enjoy watching him watching me. @Hallie - There are dividers available that would allow you to keep both fish in a 10-gallon tank. I would not try to keep any tankmates with them in that situation. A heater would help, and would be much easier to implement in a 10-gallon tank. Not sure if that's why they aren't eating as much - it could be the stress of constantly seeing each other. When you choose the divider you want to be sure it isn't see-through, or you want to cover it with plants so they can't see each other. Good luck! How do I divide a 10 gallon tank between my two male Koi and Veiltail bettas. I have my Veil in a 1.5 and my Koi in a 1 gallon. I want them in a big warm, filtered tank. I was wondering if there was ANY possible way that I could divide the 10 gallon between them? I have the two tanks next to each other and they don't seem to flare up. I have have some "Blue Mysteries" or i thought they were. They turned out to be Jade, but they get along quite nice. And sometimes they will even play. But the bettas seem to be losing their appetite. Is this due to stress and cold water (as I don't have a heater at the moment but I try to keep the water as warm as i can) And can I have any tank mates in the 10 with them? Hi Milly. I have no idea if it is a good idea to keep a fish in a beaker. I would assume if the glass is strong enough to hold the water/gravel for long periods of time it would be okay, but I can't say for sure. One of the reasons I would prefer a normal tank is because of the heat and filtration you mentioned. Those are fairly easy to accommodate in a 5-gallon tank, but in a beaker I don't know. I never like to put anything in a fish tank that isn't designed to go in a fish tank, unless I research every single thing that is in the product. Some things are safe and some are not, and figuring out which is which is often a guessing game. The name plate not only consists of the materials it is made from, but also probably some glue and some paint or other finish. I wouldn't trust something like that in a tank. Is there a way to put it on the outside? I wouldn't put a fish in a coffee thermos. You can use a large, new tupperware-type container with a lid. Rinse thoroughly with very hot water but do not clean with soap before putting him in. Let him fast for a day before the trip so he doesn't mess up the water too much. Don't let him get too hot or too cold during the trip, make sure he has some air in the container, and of course make sure he is in a secure area of the car where he won't go flying. You can bring a little container or extra water if you want so you can change his water part way through the trip. Good luck with your betta and have a great trip! I am new to beta fish and fish in general so before getting my fish or tank I am researching. I want to put him in a beaker (like what is used in chemistry) so I found a 20 liter beaker it's a little over five gallons. Would that work as a tank for a beta fish if I add a filter and heater? You also in your article mentioned something about a hood what is that and do I need to get one for my fish tank? I also want to put a name plate in his tank that says his name "Dr Amadeus Avagadro" but I'm worried that a name plate would poison him, how do I know if putting something in the water will hurt him or not? I'm also planning on traveling with him it will be a two day car ride then i will set his tank up at our new location. I found some people that say to put him in a travel thermos like for coffee would that be okay or would I have to wait to get him till after my trip? Hi Jessica. Not a silly question. :) I wouldn't worry about the light making the water too hot. As for the filter, I'm not very familiar with that model, so I don't know how much it moves water around the tank or how much it is adjustable. 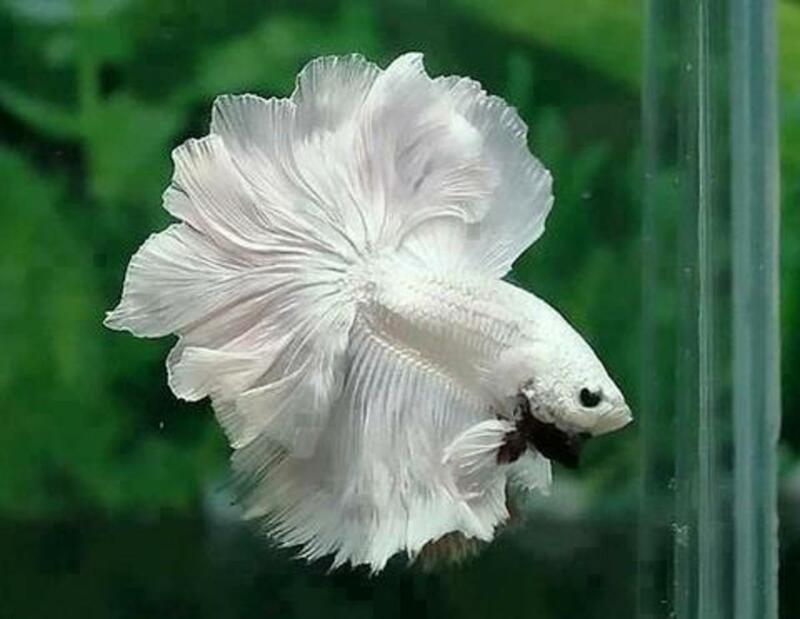 But, if it is an internal filter that should give you some good placement options to minimize current, and in a 14-gallon tank there is a good chance betta will be able to find places to get away from the current. Good luck! Hi Eric. Thanks for your articles on Betta fish, I'm finding them really helpful. I'm thinking of getting a Betta Fish in a few months (after I move) and want to make sure I have the best tank first. I'm looking at a 65 litre tank (which google is telling me is around 14 gallons) but my question is about filters and lamps. It says it comes with a "silent internal power filter (model 200) and a powerful 24W PLS lamp". I'm probably asking a silly question but will this make the current too strong/water too hot, or can you adjust them? If so what would be perfect for a Betta? Thank you, sorry about the long comment. Sounds great, Matt! Well done avoiding those tiny little cubes. The 10-gallon tank will be much better. Hi, I always loved Betta's, but never had the heart to keep them due to the other fish I had (had guppies who bred like crazy). I also did not want to put him in one of those little cubes that you see at Petco, I wanted to put him in a 5 gallon or 10, but had no room to do so. Now I have the room for one. I recently purchased a male Delta Tail betta and I love him. I already had a previously purchased 10 gal that I have had for a long time and set him up in that with a underground filter and a hood. I put a good amount of small silk plants for him to rest on because I read that Bettas like to lie or rest on plants. Is the set up that he is in good enough him? @Ralph: Thanks for the kind words! You wont harm the fish if you do it correctly. You are correct that moving him quickly from one environment to the other may shock him. You need to gradually acclimate him to the new tank just a you would if you were bringing him home for the first time. Good luck and glad you decided to upgrade your betta's home. Just bought my beta and keeping him in a small 1 gallon with no filter or heat. I change out his water twice a week and he seems very happy, energetic and quite social. I knew nothing about these fish when buying. The person at the pet store sold me the tank and said it was fine. Now that I know better, I would like to upgrade his tank. My question is this: Won't I harm the fish if I transfer him to a filtered tank with a heater? Thanks. Great article by the way! Hi Vishal. You have a large enough tank and you can have more than snails and frogs with your Betta. Any community fish that do not run afoul of the advice I gave in the other article are fine. That means: No fin nippers; no Anabantids, no fish with flowing fins or those that look similar to Betta, and no aggressive fish that will harass your Betta. As for which fish are available in your area, you'll have to do that research for yourself. Good luck, and don't forget to have a backup plan! That's awesome, Annie! You made a great decision! I hope your Betta has a long, happy life. I have always had bettas but after awhile they start looking sick. The one I currently have wasn't looking too good, I researched what to do, and I went out yesterday and got him a 5 gl tank with filter and heater. (As opposed to the small cube I had him in) I set it up yesterday and put him in this morning. He is swimming around and looks way happier!! is it okay if i'll use a 2.5 gallon fish tank for my betta fish? Hi Charles. Well done moving betta up to a 5-gallon tank! He should be okay in the smaller tank while the new one cycles. Just make sure you keep up with water changes. Good luck! I am a teacher and a student couldn't care for her betta anymore. So I took it in. He's super small at a little over an inch or so and came in a 1/2 tank. I have a 1.5 gal tank with filter, live plants and a heater that I moved him to. I am cycling a 5 gallon tank but it will take a couple weeks as this is my first Betta fish and first attempt at cycling. Is he ok in the 1.5 gal while the larger one cycles? How do you clean a tank with live plants in it? Would I take my betta out? Hi Chase. Fin rot is caused by poor water conditions. If you want him to recover you have to figure out why the water in your tank is fouled. Once the water is clean and healthy the fins will slowly grow back. You can treat with aquarium salt in severe cases. Hi Tony! 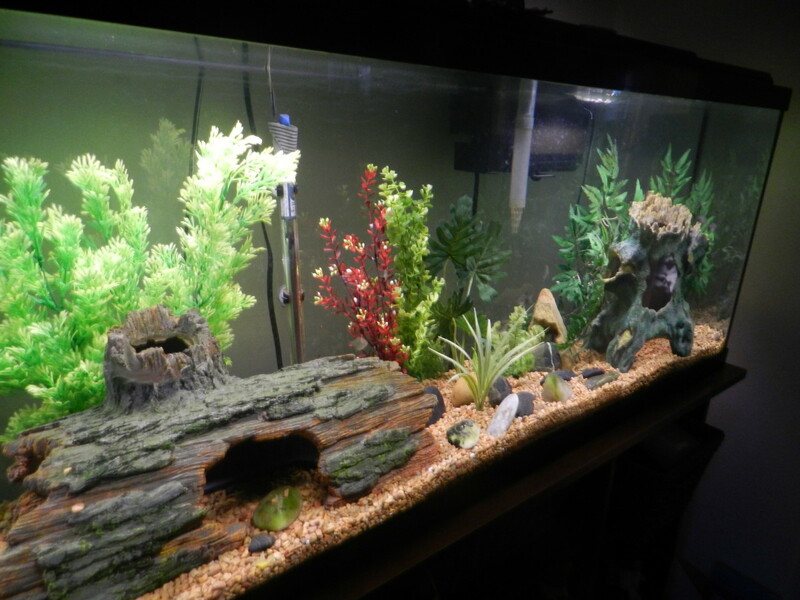 Most places that deal with aquarium equipment should have a plain 5-gallon tank available. If you do a search on a site like Amazon you ought to be able to find one. If you don't understand how to cycle a tank you should also do a little research on that. Yes, you will let it sit, but you need to monitor the water conditions to determine when the cycle has run its course. You'll also have to add something to the tank to start the cycle. There are special additives like Tetra SafeStart you can buy to accomplish this (new fish tank kits usually come with a packet of some kind) or some people simply put a couple of pinches of fish food in the there. You need something for the new bacterial colonies to feed off of so it can grow. DO NOT use live fish in your cycle. It's cruel for the fish, and many species won't survive. To make sure plants have a source of fertilization, what I've always done is establish the tank with artificial decorations first, wait a couple of months, and then plant the live plants. Alternatively, you can use plant food sticks or water-based fertilizer. Doing it this way, you can add plants while the tank is cycling. Keep in mind that anything you add to your tank for the plants will also have an impact on the fish. Regular gravel is fine for most plants. Generally speaking, live plants will make your tank healthier for your fish and help keep your water parameters in line. Do keep an eye on things though, especially in the beginning. When cleaning, vacuum around the plants and get any debris off the surface. Don't dig into the substrate around the plants with the end of the tube, but do dig into places where the plants won't be disturbed. You can remove and replace any other decorations that won't disturb the plants. Just like a garden plant, the roots of your aquarium plants will spread around your tank (under the gravel) so you don't want to risk moving them and breaking up the root system. If you have any more questions let me know. Good luck! Hi! So I'm planning on getting a 5 gallon fish tank for my Betta. I'm also planning on setting up my own aquarium for him with live plants and have many questions. Where would I go to buy a plain 5 gallon tank. I've seen many aquarium kits but rarely any plain 5 gallon tanks online. I also have a few questions on live plants. Do I buy a specific substrate and simply plop the plants in there or do I have to wait for it to grow? After I added the plants, decor and other stuff for the tank I was suggested to let it 'cycle'. Does this mean I should just let it sit for a couple of days before adding my Betta? How would I go about cleaning the tank and doing water changes with live plants and decor present? Thank you for taking your time to read this! Hi Rowan. Yes, that tank would be great for a Betta. I will caution you the filter current may be a little strong, so keep an eye on him. If so, it is fine to go without the filter as long as you stay on top of water changes. In a tank that size you can change 50% weekly, but be sure to do a complete cleaning about once a month or so to clear the waste out of the gravel. With filter running, you can change about 20% weekly. As for removing him from the tank, I've found it best to scoop him out with a cup. Then you have to make sure he rests somewhere secure while you perform thank maintenance. Bettas can jump, so be careful. If you are only doing a partial water change you don't need to remove him from the tank. Is this tank a good one to purchase? I've had bettas in the past, but did not do as much research as I should have--I want to do better this time around. That being said, I've never purchased a filter tank before. Will the filter tank still require water changes? Also, do water changes have to be 100% or 50%? I've read both. When needing to remove the Betta from the tank, what is the best way to do so without causing much stress? Thank you! Hi New Guy. I always recommend a 5-gallon tank or bigger for a single Betta fish. But a 4-gallon is better than a 3-gallon, and much better than a bowl. Is a 4 gallon ok? @Anonymous: The 5 would certainly be better than the 3-gallon. As far as where to buy a Betta, pet stores have them in those little cups because they can't house them together in a tank like other fish. Scout out a few different places and see how they manage their stock. Some stores are very conscientious about maintaining a low stock that turns over quickly, meaning the fish aren't stuck there for long periods of time. Others are not so good at this. You can even talk to the management or employees about how they manage their Betta fish. A good store will have a plan, not just pile the fish up like they are making a display of soup cans. I'm glad you're thinking about this! You're right: Buying from a store with abusive or negligent policies toward managing their stock only encourages and rewards bad practices. There is one big-box store in particular I can think of that has no business selling fish, and I really wish people would stop buying from them. I was thinking of buying a 3 gallon Fluval Spec, but now you've got me thinking about the 5. Where can I buy Bettas tbat aren't swimming in their own poop in a cup? 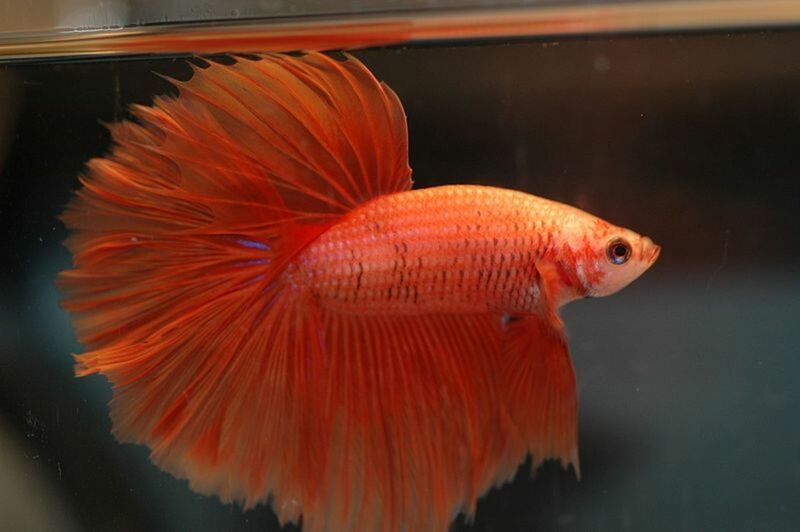 I have heard about betta "rescue" but I also don't want to encourage pet suppliers to kepp doing that. 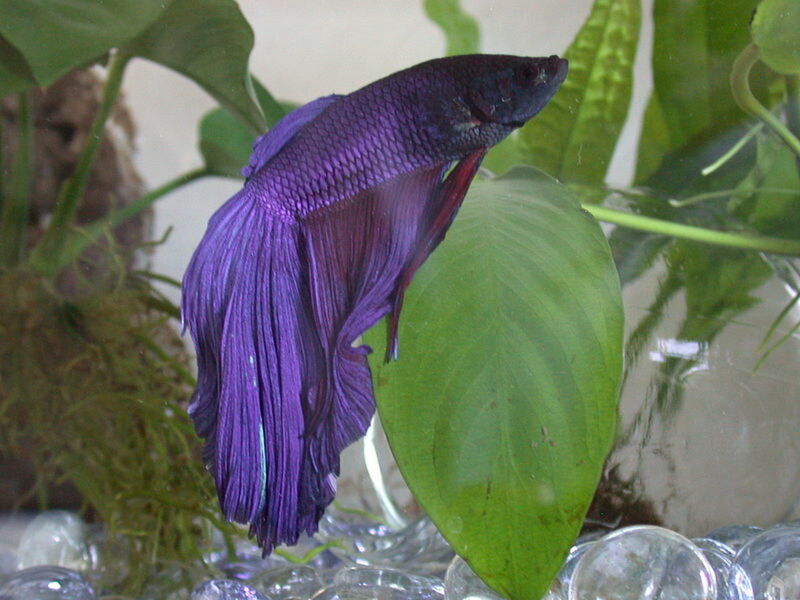 @Loki: It's hard to say what makes a Betta "mopey and sad" or if there is anything wrong with him at all. Depression isn't really something Betta's have to cope with, so you may be interpreting his lethargy as something bad when it is not. However, I am highly in favor of a tank upgrade to at least 5 gallons or more. It certainly could be the cause of stress and impending disease for you Betta. @maggie Out of the box, the AQ15005 is intended to work with the supplied filter. However, I believe it can be adapted to use with other small HOB filters. I'd start with the filter included with the tank and go from there. does the AZOO Mignon filter fit on the Aquarius AQ15005 5-Gallon Aquarium Kit or is the one with it ok? I have managed to lay my hands on a "Aqua-Alien" style tank, its only 3 gallons, but its dimentions are odd, (a foot high, by 6 and the sides being 7 inches, but it takes up little room) its an odd shape, and the bottom gives me little room to put much but his log in the tank. For the first two months he loved it, but lately he has been kind of mopey and sad. Im thinking of upgrading his tank size. I have a perfect filter(low current) a heater four different foods , a betta bed, a betta filter, and plenty of orniments I cycle out so he doesn't get bored. so I have no idea what, besides space it could be. Thanks Sheila and Homeplace Series! I appreciate the kind feedback. I always enjoy reading your advice about Bettas. I've never thought about getting one, but the more I read, the more I think about getting one. Thanks Ann1AZ2! I feel sorry for those Bettas too, and that's a perfect example of the problem. @retief2000: That's awesome! I hate to see Betta in bowls. You're making a great decision! I have a gorgeous blue Betta in a large fish bowl. I change the water weekly. Based on the advice in this Hub, I am changing to a larger tank. I always feel sorry for the betas they keep at Walmart. They can barely turn around. I love the Fluval edge tank. I've never seen one like that before. Well done and voted up. Good job on raising awareness.